Join the Preservation Alliance for the 7th Annual Historic Preservation Awards Banquet in Grafton, an inaugural WV Focus "Turn This Town Around" project. This year's event will highlight Grafton's excellent preservation projects within its business district. Parking is available at the Shrine. Meeting location is the International Mother’s Day Shrine. Grafton holds a place of distinction in the histories of the American Civil War, the B & O Railroad, and Mother’s Day. Much of the business district as well as many of the churches, government buildings and fraternal orders upon which town was built are still standing as a testament to the power of the past. This tour of downtown will take you through the important events and introduce you to the influential people who shaped the Memorial City. Tour will be led by Darlene Ford, Taylor County Historical Society President. Wear comfortable shoes and bring an umbrella. Historic preservation projects and respective coordinators will be recognized during the awards ceremony. Award categories include Dr. Emory Kemp Lifetime Achievement Award, Most Significant Save of an Endangered Site, the Heritage Tourism Award, and more. About Our Keynote Speaker: Nikki Bowman, a West Virginia native, is the founder and owner of New South Media, Inc., which publishes the critically acclaimed WV Living, WV Weddings, West Virginia Focus, Explore, and Morgantown magazines. In 2014, Grafton was chosen as one of the inaugural towns in West Virginia Focus’ Turn This Town Around project. Her company also recently took over the editorial and design of Wonderful West Virginia magazine. She graduated from West Virginia University and received her master’s degree in Writing from DePaul University in Chicago. Nikki serves on the several boards including the Morgantown Chamber of Commerce, Tamarack Artisan Foundation, Regional Board of AAA, and the Greater Morgantown Convention and Visitor’s Bureau. She was recently chosen as a Folio: Top Woman in Media in 2015, and last year she was given the SBA’s 2014 Woman Business Champion of the Year Award. 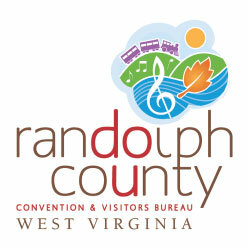 Her company is the recipient of six Star of the Industry Awards given by the West Virginia Division of Tourism.